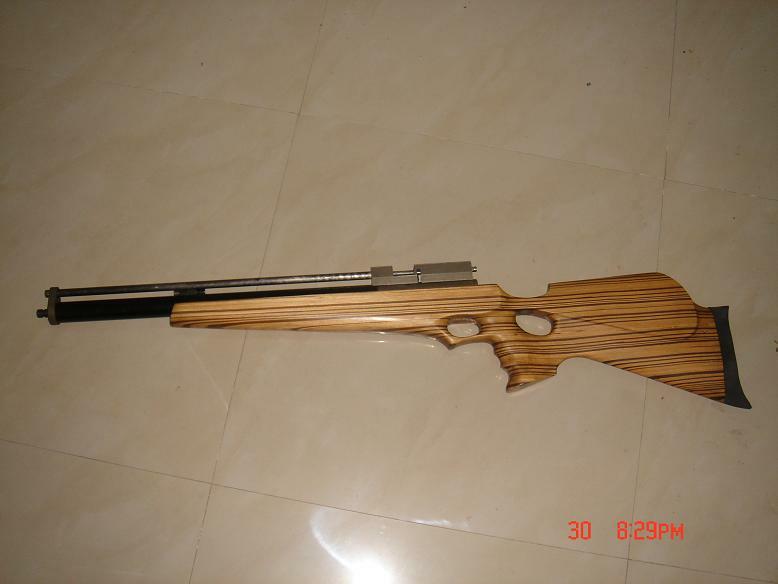 This is our gun in china .I from chia in west province.I love guns very much , I'm a 17 years old boy ! 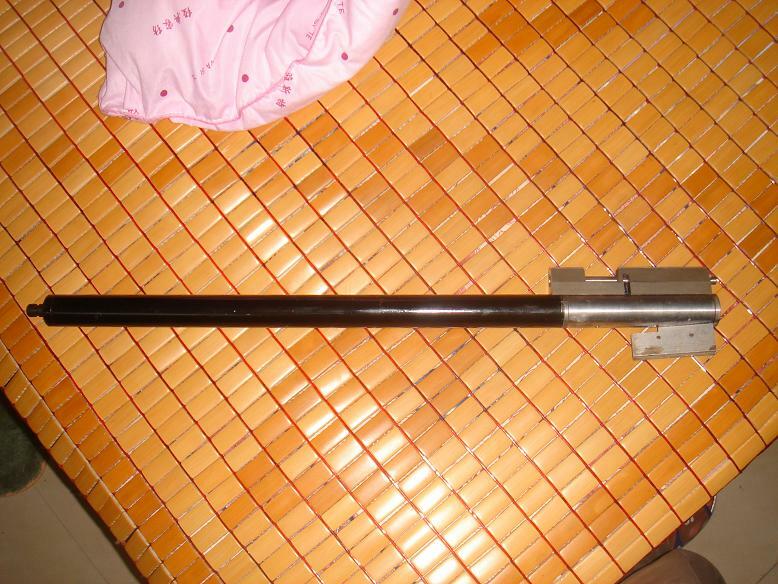 It is a 4.5MM caliber guns .It can go to 18MPA. Will you be allowed to use that in the bejing olympics ? He won't be able to use it even in his back garden, as said China has a no private gun ownership policy. If caught using/owning it they'll put him up against a wall and see if his homemade gun is any use before the firing squad take over! He's either a wind up or just plain stoopid! "The ministry launched a national campaign against illegal guns last year. Official figures show that from last June to September, police confiscated about 178,000 illegal guns, 3,900 tons of explosives, 7.77 million detonators and 4.75 million bullets. Ministry figures also show that more than 3.8 million illegal weapons have been confiscated in recent years. " I don't feel that legal have a gun.If you play a gun for military use,you can in prison 3-15year.so i only play a air gun. So what can you shoot over there? We believe this is a genuine new member and lets make them welcome. Some "off topic" posts have been removed from this thread. Can you tell us a bit more about yourself and where you are in China. You appear to be taking big risk as all guns are illegal and the police fine in China is about 25,000 Yuan and a possible term in jail. That looks a lot like a Feinwerkbau Sport I used to own.. Perhaps a chinese company bought the patterns to make it.. It most certainly is a 127 sport - a great gun. I need to get another scope for it as the old one broke a while back. 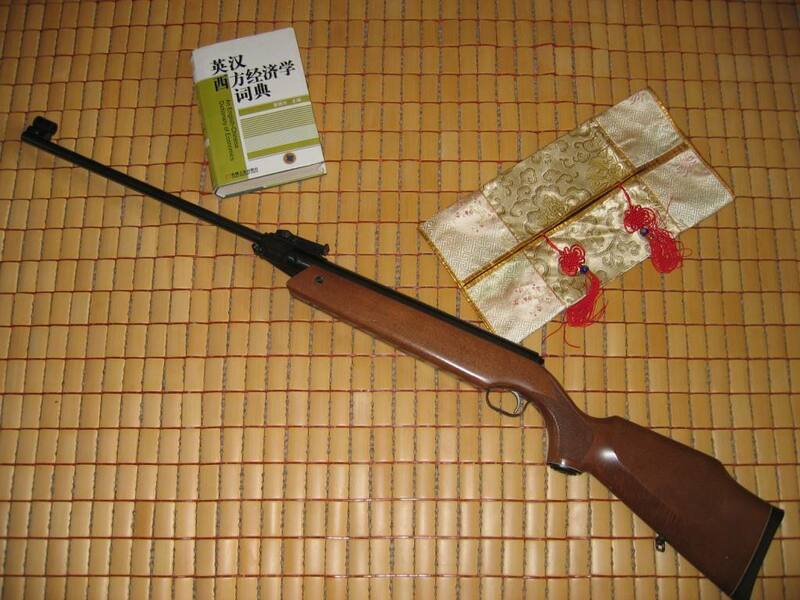 mmm the springer s on the same table mat as the chinese mans gun smell a rat?? From:Colchester, Essex, England, The World. Nice bamboo there, the same as Ting Tong's too!! Fancy that, the same bamboo 'curtain' as a new poster thousands of miles away. who'd believe it? same cover as our asian friend & a couple of very stragetically placed chinese items ah so! !